White Christmas might be the basic concept for this year's Guess Christmas display. 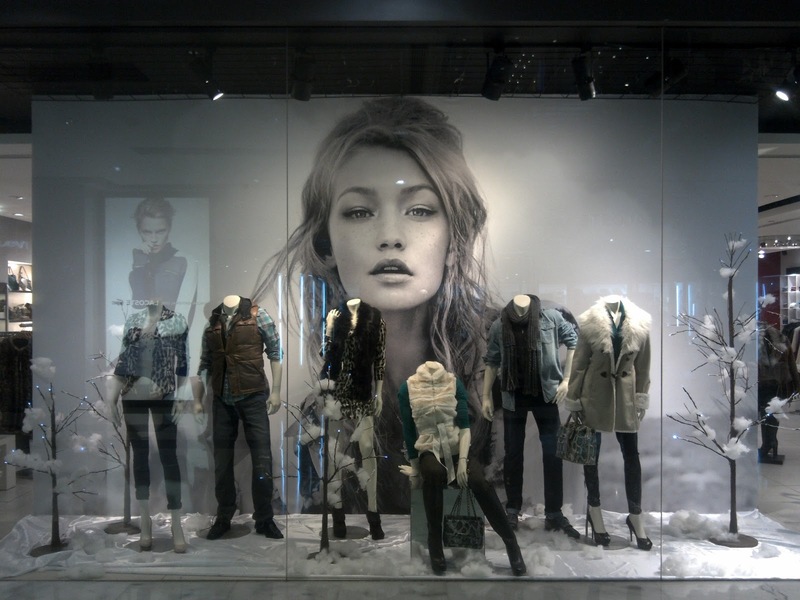 Started from the background is the black and white giant posters of its advertising image. 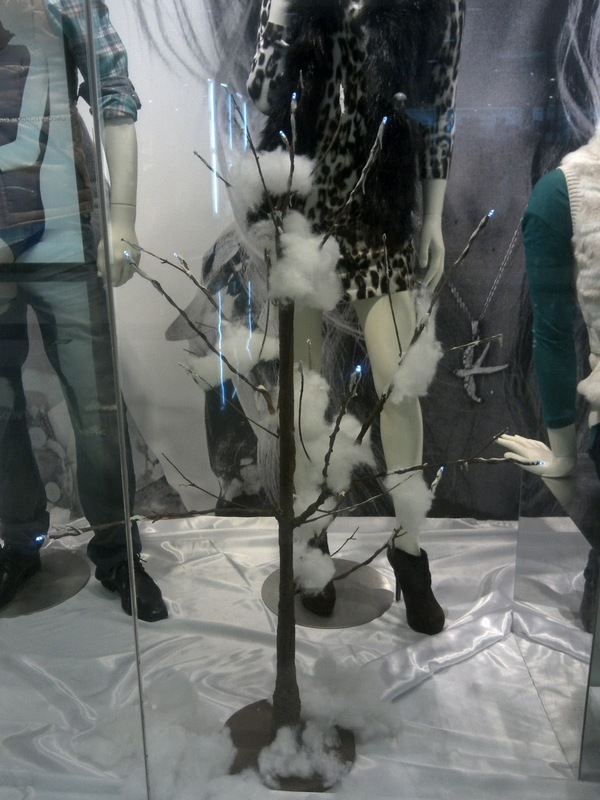 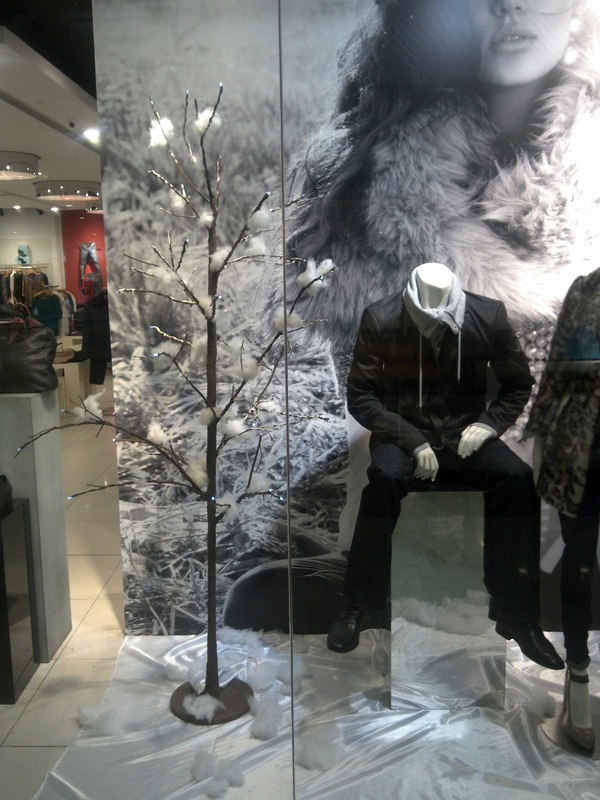 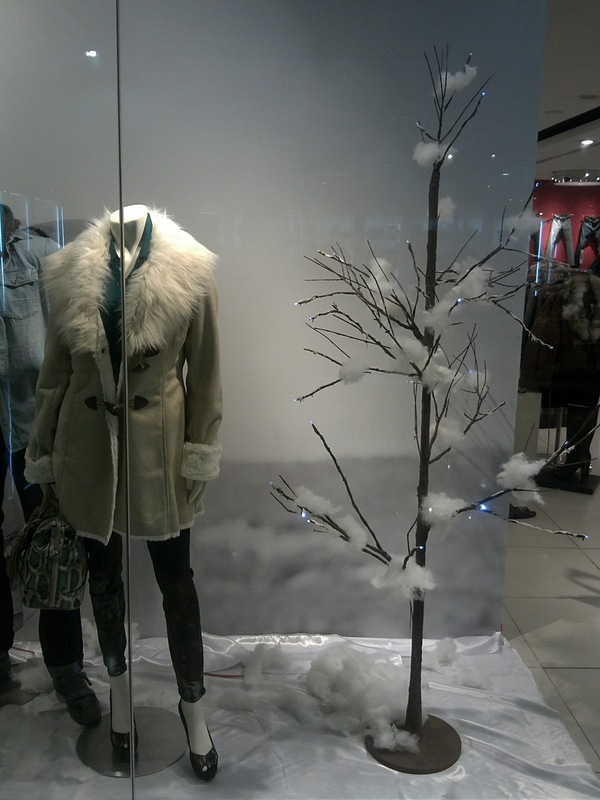 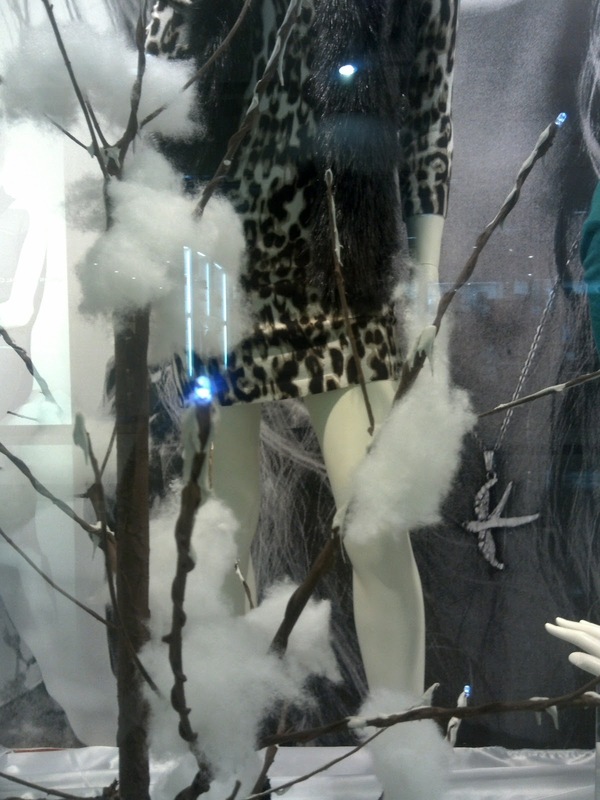 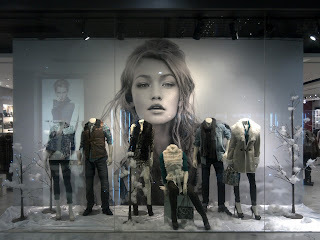 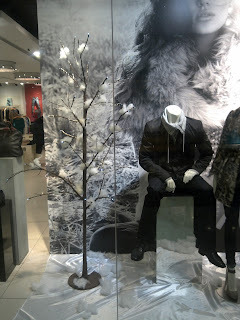 On the display, mannequins are standing and sitting on the white snowy environments made of white shiny fabric. Dried trees with white cottons that resemblance the snow are everywhere.